Ok I know some of you may still think it is a little early but I am girl who loves Christmas, I really do wish it could be Christmas every day. So when Love Christmas Ltd approached me about reviewing something from their site, there was no way that I could refuse!! The real question was what should I review. Love Christmas Ltd stock a range of decorations, trees, gifts and lights all at very reasonable prices. The site itself is extremely easy to navigate, splitting things into sections making items simpler to find. I think because I have children and because I am a big kid myself, I was automatically drawn to the Novely Items & Toys section of the site. I love a good noisy toy and it has become a tradition in our house to buy a new one each year. I asked the girls which one they preferred and we all finally agreed on the 'Singing Dancing Snowman'. Delivery on Love Christmas Ltd is free, a big money saver there. The snowman took roughly 3 working days to arrive and was packaged well. 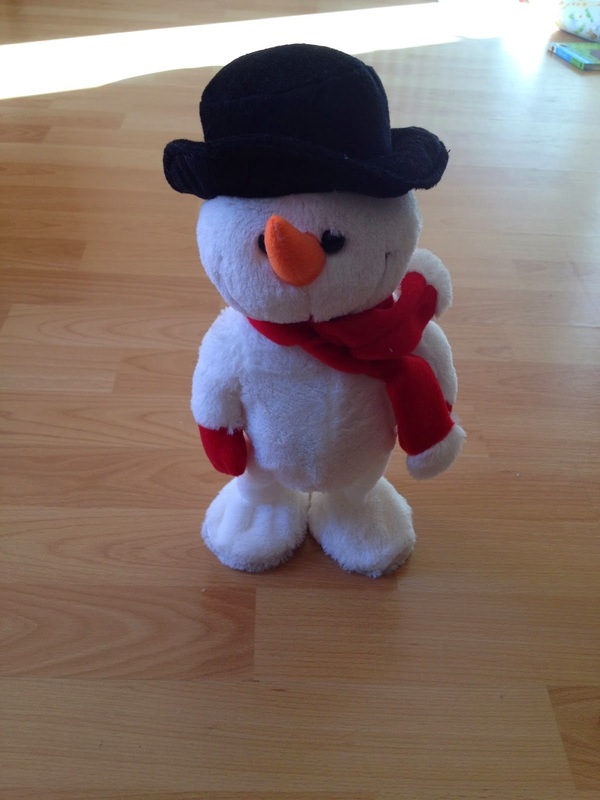 Standing at approximately 30cm tall, this snowman certainly adds to your Christmas spirit, with his carrot nose, hat and bright red scarf, he is nice and soft and definitely appealing to children. My 3 year old was extremely impressed. The only problem was that she kept going to pick him up as he was trying to sing and dance to her. He has a button on his left hand that when pressed makes him sing the song jingle bells, he also dances from side to side as he sings, multi-talented!! If you are looking for new decorations this year or a Christmas themed gift for friends or family then I would definitely recommend that you check out Love Christmas Ltd for yourself. With good priced items an no delivery charge, what's not to love. Love Christmas Ltd have very kindly allowed me to give away a £25 voucher to spend on their site to one lucky reader. To be in with a chance of winning all you need to do is fill out the rafflecopter form below. This competition is open to UK residents only and will run until 11.59pm on the 19th of November 2013. Disclaimer : I was sent this item free of charge for reviewing purposes however all thoughts and opinions are my own. Some new baubles - we decided to go for a real tree last year. Was a big mistake, as once the branches started drooping the baubles starting dropping and smashing! So we need a few new ones. I love the garland, but as I live in a flat & have no stairs I would use it on my mantelpiece! Singing Doggy looks fab, I would get this and perhaps another couple of singing things just to annoy the in-laws who hate them! Loving the mantelpiece snow globe. Would have to go for that. My kids would love the 63cm Standing Reindeer Decoration! I think I'd put the voucher towards a snow globe. They're gorgeous. Anything there, love Christmas and Christmas decorations! I'd get one of the candle ring holder table decorations for the centre of my Christmas day table. I would probably have to put it towards one of the large polar bear decorations. I love them. Fairy lights, you can never have too many! I would get a snowglobe - the kids love them! A snow globe and some more fairy lights - you can never have enough! Dancing snoman....no question about it! oh tough one i cant decided so much to choose from! 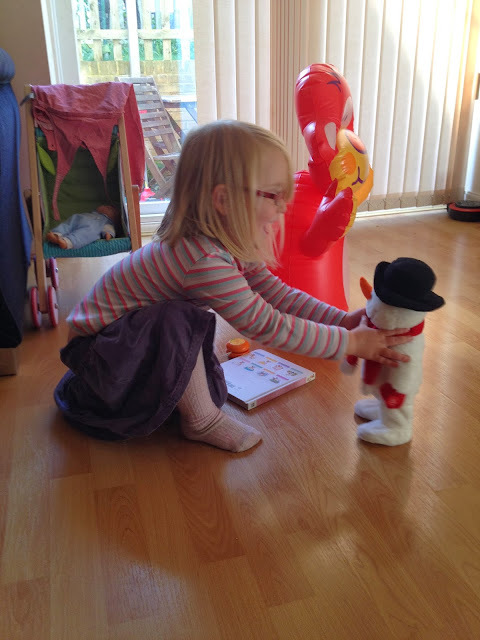 The singing dog, too cute! Definitely one of the singing toys! Probably the santa. Absolutely love novelty things. Love Christmas has some lovely bits. i love the Pre-lit Deluxe Alberta Spruce 12ft Christmas Garland, cant wait till xmas!! A new set of christmas decorations, mine are getting tatty! Defo the Snowman - so cute!